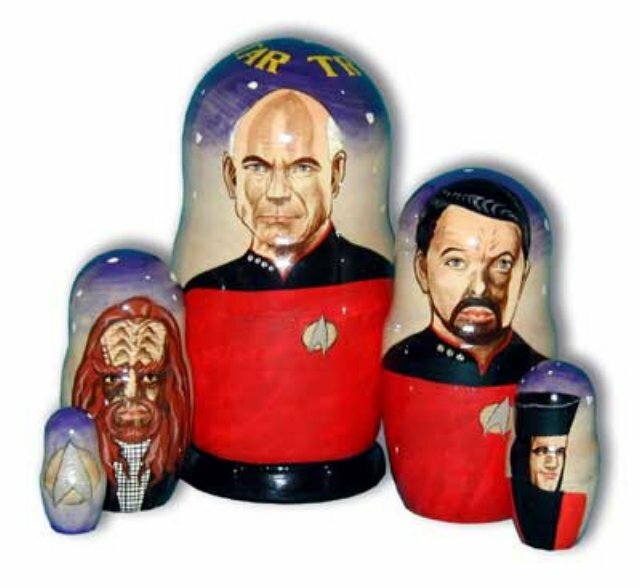 Made in Russia, this Star Trek Next Generation set features Picard, Riker, a Klingon, Q and the Star Trek emblem. The top of the largest doll says Star Trek. The likenesses are a bit off.